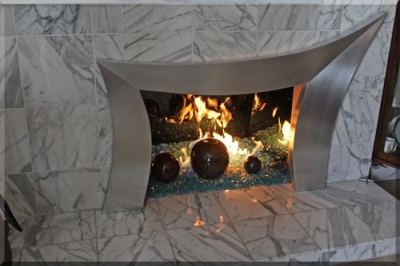 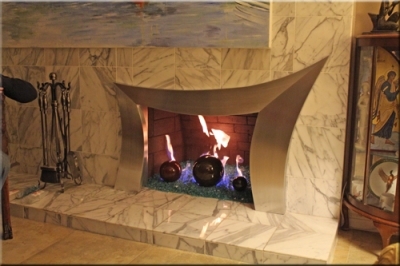 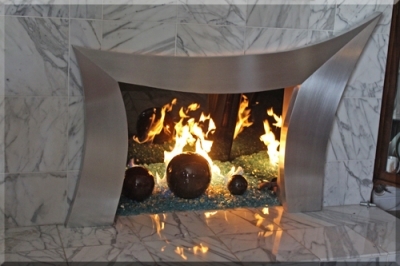 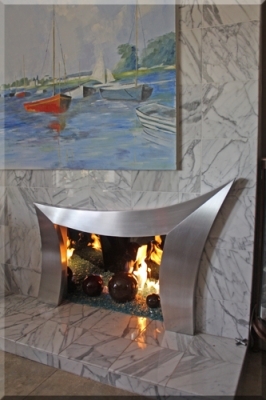 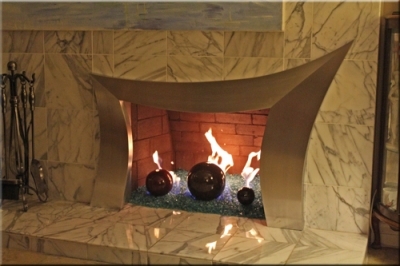 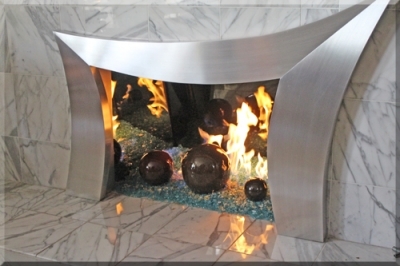 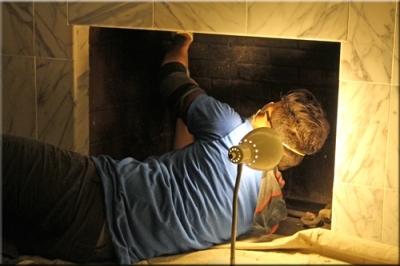 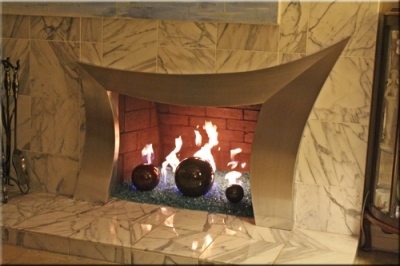 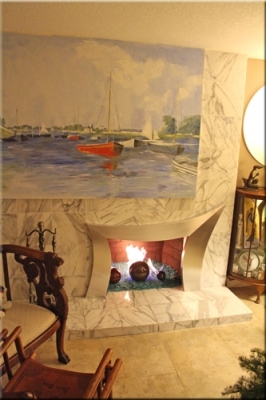 This fireplace surround was designed for Jasmine Bals, a local customer. 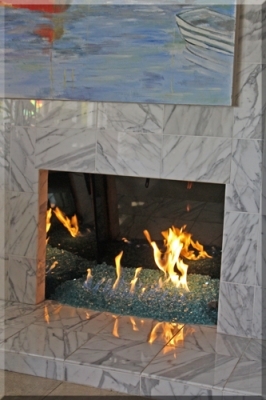 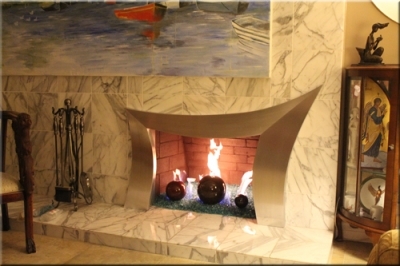 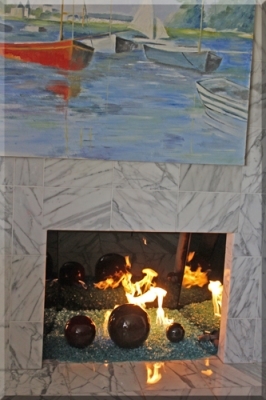 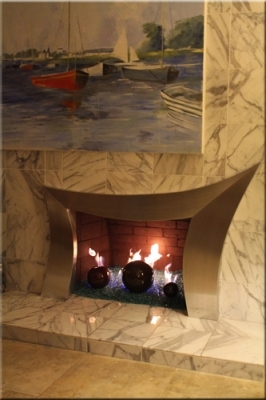 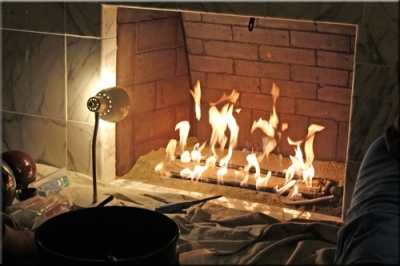 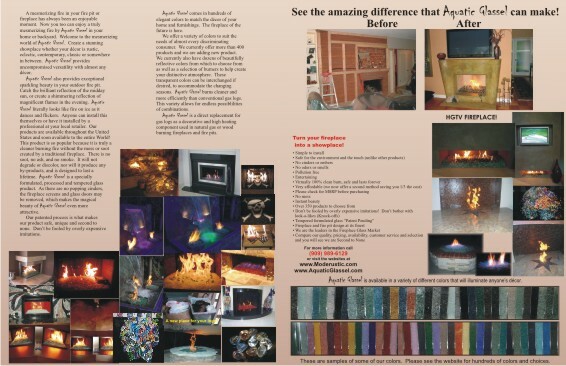 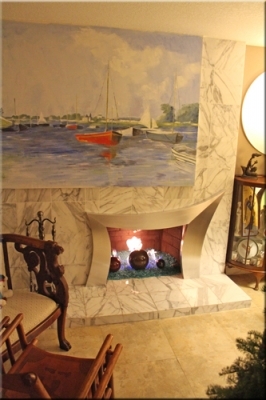 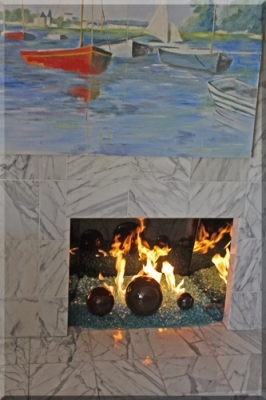 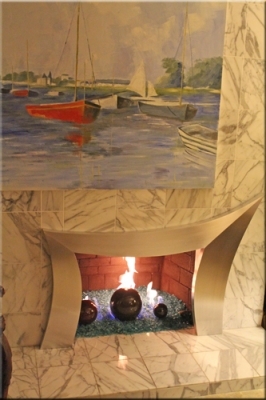 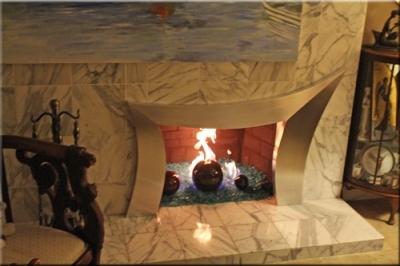 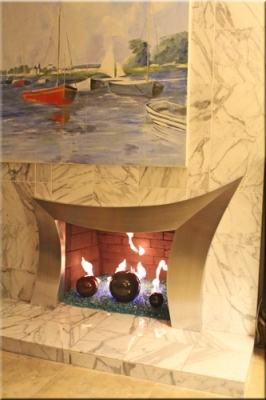 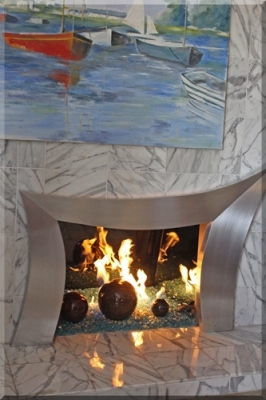 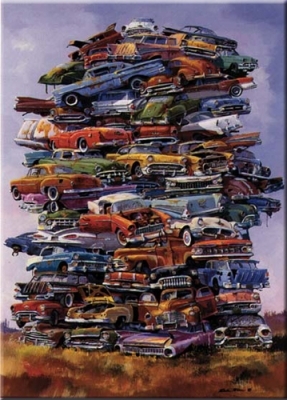 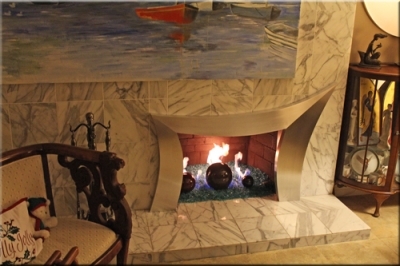 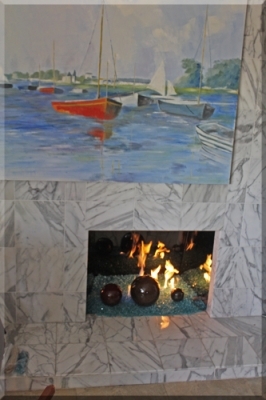 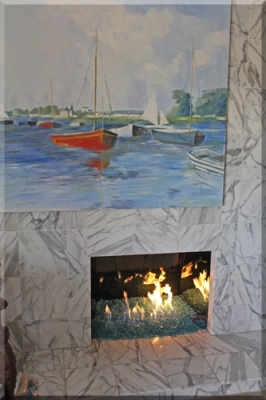 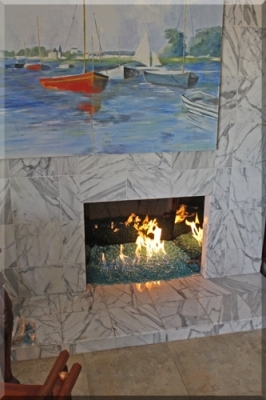 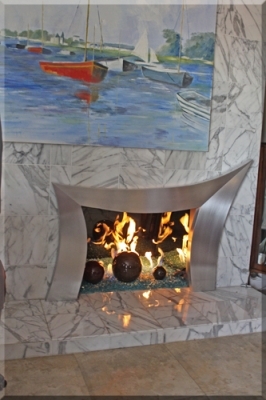 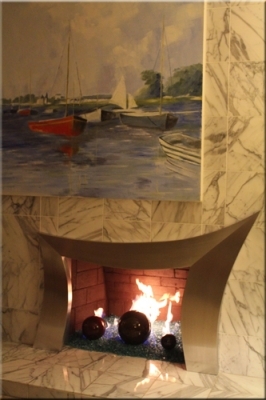 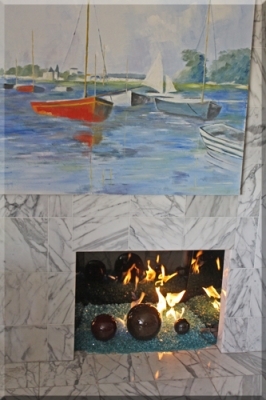 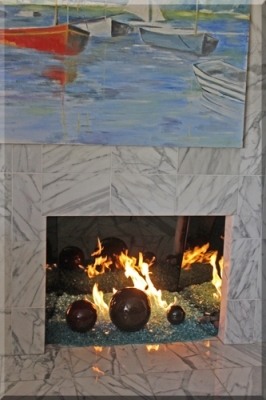 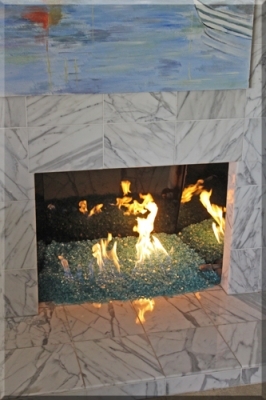 She is a local artist (paintings) and enjoyed our free form idea of a fireplace surround. 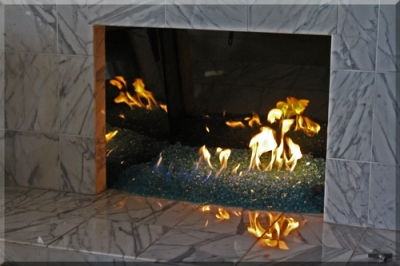 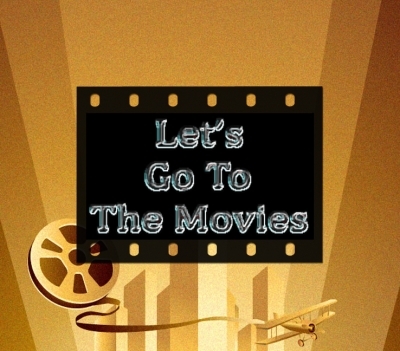 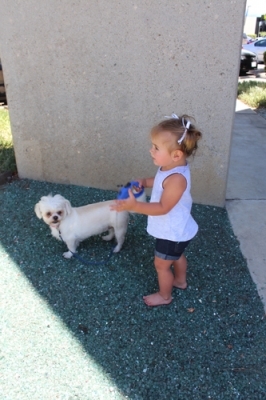 As you will see in the pictures below, it was created and installed with out any issues, perfect! 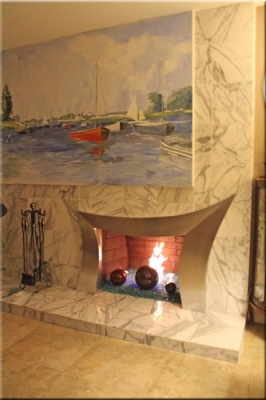 Warm Brown Fireplace Paint, later we will cover it with our Sterling Silver Mirrors (pictures coming). 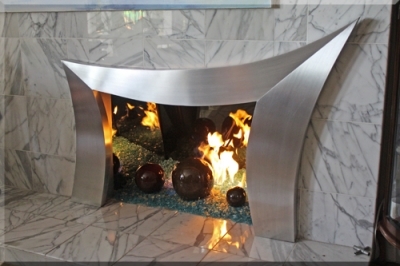 And one Really nice surround. 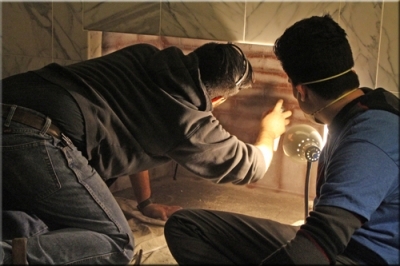 Now we paint, using a proper method, it's not tagging, it's painting! 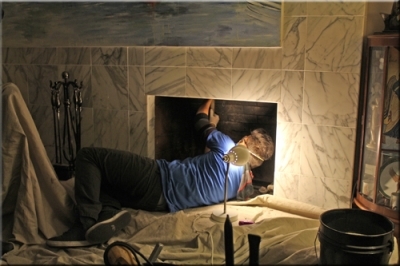 Now we install the sand base and burner, only to watch paint dry. 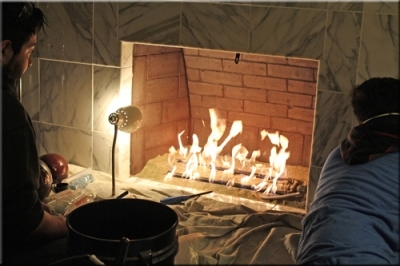 Just about 3 to 4 minutes. 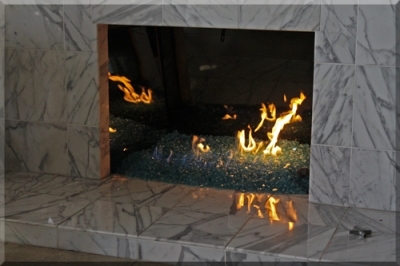 Center the flames, left to right, front to back. 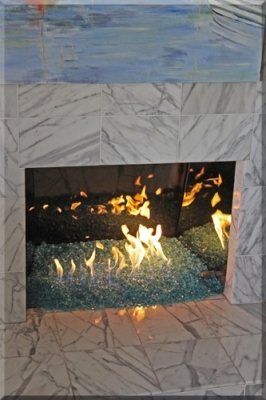 Make sure the flames do not hit the back wall. 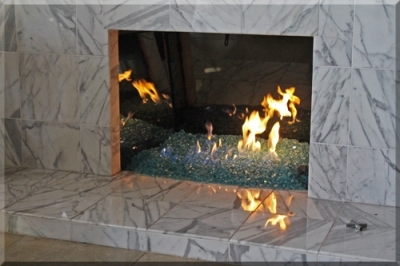 Now slip the surround into the fireplace. 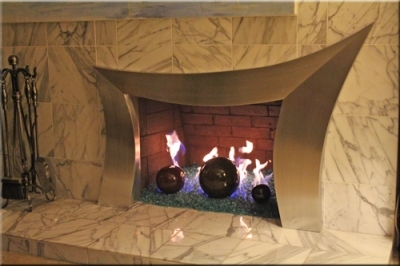 The pictures below are when we went back and installed the Sterling Silver Panels and FireBalls.